Sushi, the most popular Japanese Food, is becoming higher in demand all the time and its easy to see why. The combination of seasoned rice married with roasted seaweed and fresh fish is not only satisfying, it is also kind to the body. Check out the numerous health benefits of these popular sushi fish below. Also click here for our ever growing Sushi list. 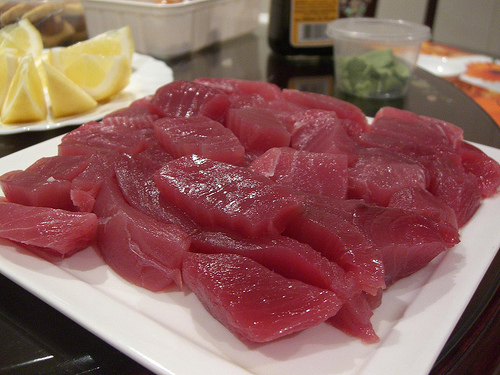 Bluefin also goes by akami, chu-toro, or o-toro and yellowfin is sometimes called ahi tuna. Whatever you call it, tuna is one of the most popular fish selected for sushi. Its rich flavor and deep color make it an excellent choice. Tuna is rich in omega-3 fatty acids which are shown to improve eye health, prevent cancer, clarify the mind, lift the mood, and combat type 2 diabetes. Not only that, but tuna is a rich source of selenium which helps to produce enzymes that clean the liver, helping the body to better detoxify itself. 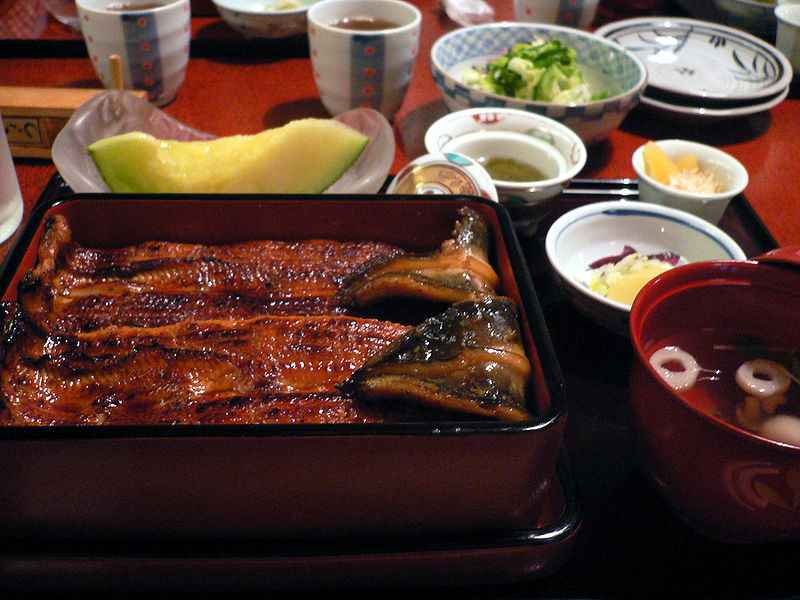 Also called unagi, eel is commonly covered in a thick sweet soy sauce. Eel is chocked full of vitamins like A, D, E, and B. In some parts of Europe and Japan, eel is sold in pill form as a health-boosting supplement. It is also a great source of omega-3 fatty acids. You might also see this scrumptious fish labeled as Hamachi or Kona Kampachi. 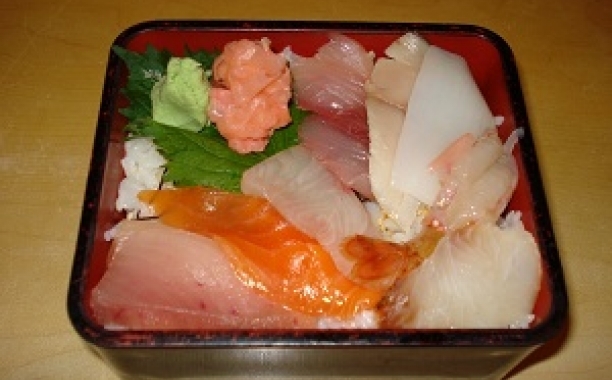 Yellowtail is a rich and fatty fish with a delicately sweet flavor. This deep sea delicacy is also a better source of omega-3 fatty acids than any other fish on this list. Among this healthy fat's many benefits are helping with depression, lowering blood pressure, and battling inflammatory conditions like arthritis. Much like yellowtail, salmon is known for its slightly sweet and rich taste. Also, like every fish listed here, salmon is an excellent source of protein and healthy omega-3 fatty acids. Not only that, but it is also full of vitamins A, B, and D which help to energize, boost immunity, and protect bones. Look for sushi-grade salmon to reap the most nutrition benefits. 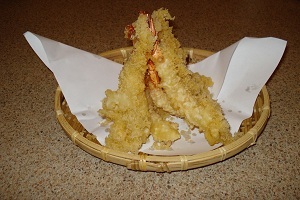 Whether it is deep fried for tempura or nestled on top of rice for nigiri, shrimp is a delicious sushi treat. Like tuna, shrimp is an excellent source of selenium which may help to ward off prostate cancer. Shrimp is full of iron, zinc, magnesium, and B vitamins as well. The next time sushi is on the menu, you can feel great about the fact that, not only are you treating your palate, you are pampering your body as well. 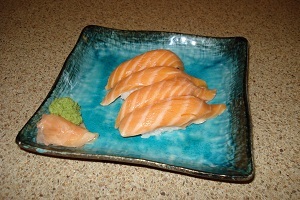 Sushi fish is an excellent source of protein, Omega-3 fatty acids, and a myriad of vitamins and minerals. You really can't go wrong with sushi. Tobiko is a small, orange, pearl-like substance that is basically flying fish roe little eggs, usually sprinkled on top of assorted Japanese cuisines as garnish. The Satoimo Root, otherwise known as Japanese Sweet Taro, is a peculiar looking vegetable that grows rampantly in Japan.